Good morning everyone! 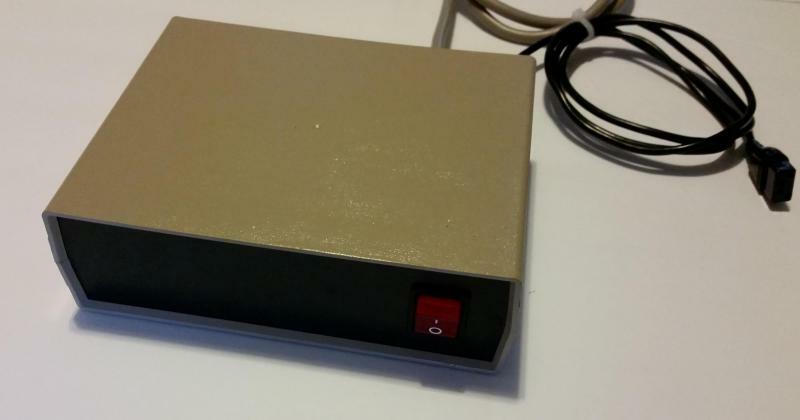 The rCAP power supply was received wonderfully yesterday,nine orders in less than 8 hours THANK YOU! I have sold out of the Complete models but can do as many Kits as are ordered. The Kit version is completely assembled, you will just need to attach your own cable (Kit DIY variation, instructions are included), OR send us your cable which we will attach for you and in essence make the Kit a Complete model. I hope to get at least one more order by tomorrow if not more so we can do the minimum run of 10 next week. Link bad, What's the price. I may be interested in one of these! The link is broken - it just takes you back to this topic. I think this is the first video on YouTube about the "RARE" Coleco Adam Disk Drive! I have begun assembling the prototype. I have the support site up for any / all software I create. The first 2 volumes of the Colecovision experience is available on there if you have a VDD or use the emulator (which is also on there). The ColecoVision Experience (Volume I & II) is new software written to take advantage of the VDD. 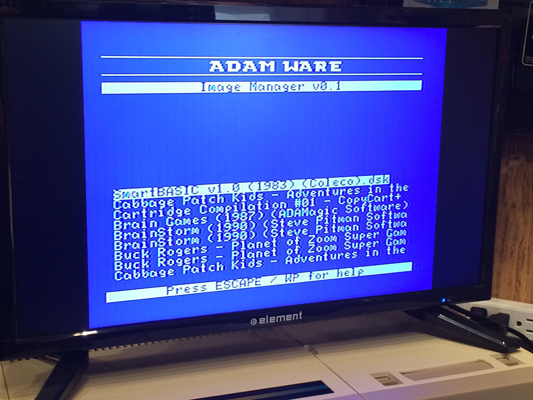 Each volume is a 2mb image that contains over 60 Colecovision cartridge games that you can load from an easy to navigate menu on the Adam or within the ADAMem emulator. There will be more software from ADAM-WARE soon. This is the Beta version, once I am sure all of the ROM files work I will remove the beta instructions.